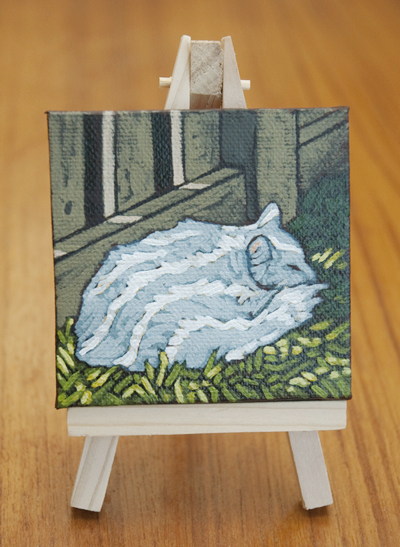 Cat Nap 3" x 3"
As I painted this little cat, I kept thinking that I need to put more animals into my artwork. 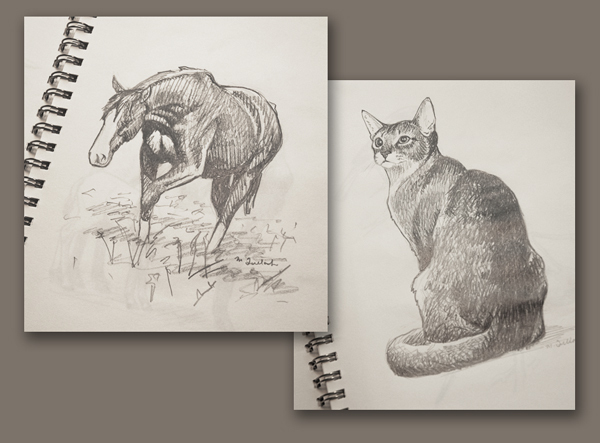 When I was younger, I drew only animals – cats and horses were my favourites. Below you’ll see a glimpse into my sketchbook from 1998. That seems like such a long time ago, yet I can still remember working on these drawings. Somehow my passion for filling up sketchbooks with animals has evolved into my obsession with capturing beautiful little scenes around me. If, in 13 years, I look back on the artwork I did today, I wonder what I will think. I wonder where it will take me?